Raticate in game: 707 Who? Important notice! Pokemon Raticate is a fictional character of humans. 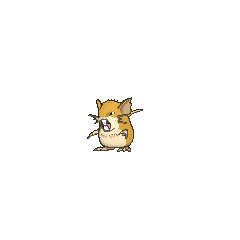 Raticate (Japanese: ??? Ratta) is a Normal-type Pokémon. In Alola, Raticate has a regional variant that is Dark/Normal. It evolves from Alolan Rattata when leveled up at night starting at level 20. 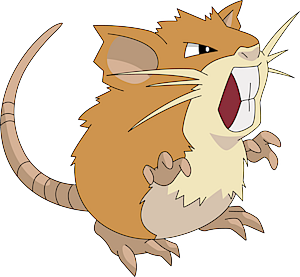 Raticate is a large rodent Pokémon. Although it is often depicted on its hind legs, it is a quadruped. It is mostly tawny colored with a cream underside. It has large incisors that grow constantly. There are three whiskers on each side of its face, which it uses to maintain balance. It has webbed feet with three toes that allow it to swim. Its tail is long and scaly, and its ears have a ragged appearance. Females will have shorter whiskers and lighter fur. If attacked, Raticate stands up on its hind legs, bares its fangs and shrieks in an intimidating manner at its enemy. These teeth are strong enough to gnaw through steel. It is willing to take on larger foes if provoked enough. It often needs to gnaw on something, like rocks and logs. It may even chew on the wall of houses, and is capable of chewing cinder walls and toppling concrete buildings. Its large incisors are also used for its former signature moves, Hyper Fang and Super Fang. This Pokémon typically lives in plains and savannas. On the S.S. Anne, Ash traded his Butterfree for a Raticate in Battle Aboard the St. Anne but traded back in the same episode as the boat was still sinking. Cassidy has a Raticate that for a time served in her and Butch's motto the role that Meowth serves in the motto of Jessie and James. It has appeared in The Breeding Center Secret, The Fortune Hunters and The Ole' Berate and Switch. 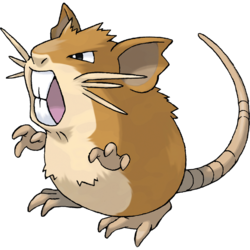 A differently colored Raticate appeared in Poké Ball Peril, although it is not Shiny. Mollie has a Raticate which she used during the Appeals Round of the Gardenia Town Pokémon Contest in What I Did for Love. Multiple Alolan Raticate will debut in SM009. A Raticate was seen in a Pokémon Center in Sparks Fly for Magnemite. 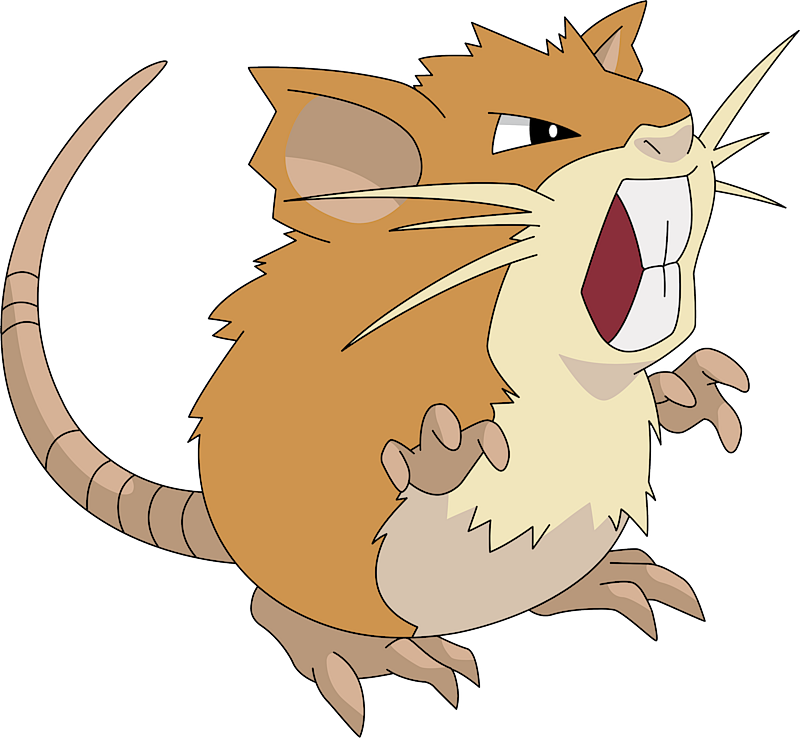 A Raticate was used in a Pokémon Race during The Flame Pokémon-athon!. A Raticate appeared in Princess vs. Princess competing in the Queen of the Princess Festival contest. A Raticate appeared in the first Pokémon movie, Mewtwo Strikes Back. 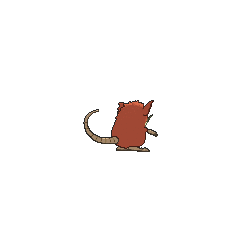 A few Raticate were seen in Showdown at the Po-ké Corral, living at Professor Oak's Laboratory, along with many other Pokémon. A Raticate appeared in Round One - Begin! under the ownership of a Trainer competing in the Indigo Plateau Conference. A Trainer's Raticate appeared in Friends to the End during the closing ceremonies of the Indigo Plateau Conference. Ralph and Emily were both shown in a flashback to have once owned a Raticate each in Wherefore Art Thou, Pokémon?. Raticate also appeared in The Power of One. In Chikorita's Big Upset, a Trainer used a Raticate to fight against Ash's Chikorita. Two Raticate were among the Pokémon seen at the Pokémon Swap Meet in Tricks of the Trade. 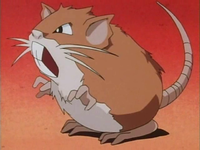 A Raticate was one of the Pokémon living at Temacu's father's lab in The Heartbreak of Brock. A Raticate also appeared in Celebi: Voice of the Forest. In Extreme Pokémon!, a Raticate appeared with its Trainer, participating in the Extreme Pokémon Race. 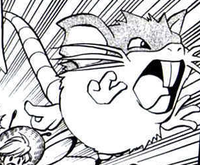 A Raticate was seen in the wild in The Legend of Thunder!. Multiple Raticate appeared in the opening of Destiny Deoxys. A Raticate appeared in Lucario and the Mystery of Mew living in the Tree of Beginning. A Raticate appeared in the opening scenes of Zoroark: Master of Illusions. A Raticate appeared as a silhouette in SM003. A Raticate made an appearance in The Lake of Rage, under the ownership of a Team Rocket Grunt. A Rattata was Yellow's first Pokémon that first premiered during the Red, Green & Blue chapter. 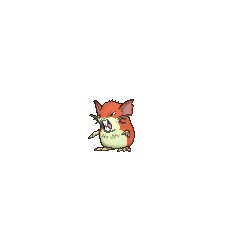 It later evolved into a Raticate during the Yellow chapter in Can't Catch Caterpie!. 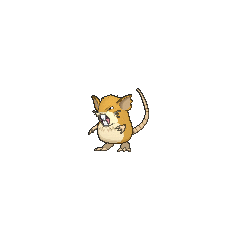 Another Raticate appeared in The Last Battle XIII as one of the Pokémon sent to help the fight in Ilex Forest. No other Pokémon has the same type combination as Alolan Raticate and its Alolan pre-evolution. Due to this, they are the only Normal-type Pokémon with a double weakness. Raticate's catch rate was 90 in Generation I and II, but this was changed to 127 in Generation III. Korean ??? Retra From rat and ultra.